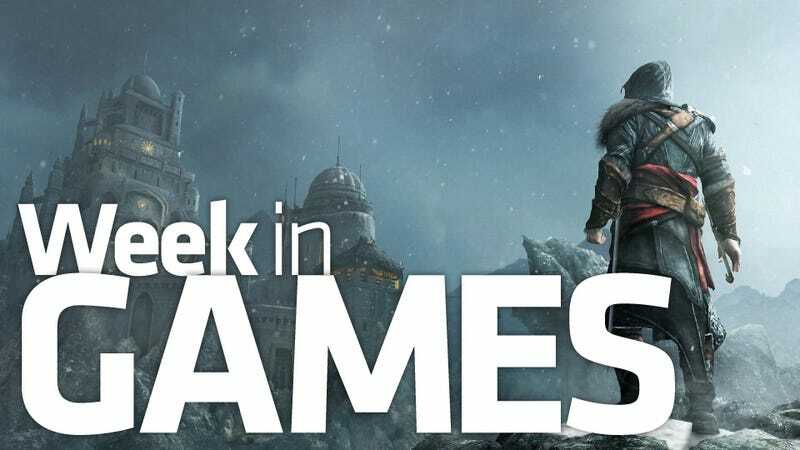 Assassin's Creed: Revelations headlines the final big blowout week of releases for video games in the pre-holiday runup. Other notable titles this week: Super Mario 3D Land, out today; the Halo: Anniversary HD re-release; new entries in the Need for Speed and Rayman franchises; Ultimate Marvel vs. Capcom and the romping good-time Saints Row: The Third. Also: Abba: You Can Dance (Wii); Ace Combat Assault Horizon Legacy (3DS); Air Conflicts: Secret Wars (PS3); Alvin and the Chipmunks: Chipwrecked (DS, Wii, 360); Bejeweled 3 (DS, PS3); Beyblade: Metal Masters (DS); Carnival Games: Wild West 3D (3DS); Carnival Island (PS3); Dawn of Fantasy (PC); Dynasty Warriors 7: Xtreme Legends (PS3); EyePet & Friends (PS3); Get Up and Dance (PS3); Halo: Reach — Anniversary Map Pack (XBLA); Hearts of Iron III Collection (PC); Heavy Fire: Afghanistan (PC, PS3, Wii); Heavy Fire: Afghanistan — The Chosen Few 3D (3DS); Kinect: Disneyland Adventures (360); Marvel Super Hero Squad: Comic Combat (PS3, Wii, 360); Mario & Sonic at the London 2012 Olympic Games (Wii); Medieval Moves: Deadmund's Quest (PS3); Pictionary: Ultimate Edition (PS3, 360); Pro Evolution Soccer 2012 (Wii); Rapala for Kinect (360); The Price Is Right: Decades (360); Victorious: Hollywood Arts Debut (DS); Victorious: Time to Shine (360); Winter Stars (Wii, 360); Zumba Fitness 2 (Wii).